Back before the AMA doomed the two-stroke by allowing an unfair displacement advantage for four-strokes, motocross was a considerably cheaper and more rider-friendly sport. Although the AMA isn’t totally to blame for the drastic decline in two-stroke sales figures, its ill-conceived rule changes were the death knell. Who are the other suspects on trial for ensuring four-strokes rose to prominence and two-strokes fell off the map? (1) Professional racers. Gatorade, the sports-drink magnate, famously marketed basketball superstar Michael Jordan by urging everyone to “Be like Mike.” It was a brilliant marketing campaign. Why? People want to emulate their idols. Professional motocross racers are lauded by their adoring fans. It’s natural that Amateur motocross riders would choose to use the same equipment as the stars. During the advent of the modern-day four-stroke, when improvements were made to power and reliability, nearly all professional race teams hopped on the four-stroke bandwagon. Subsequently, the buying public was influenced by what the world’s fastest racers were choosing. (2) Consumers. 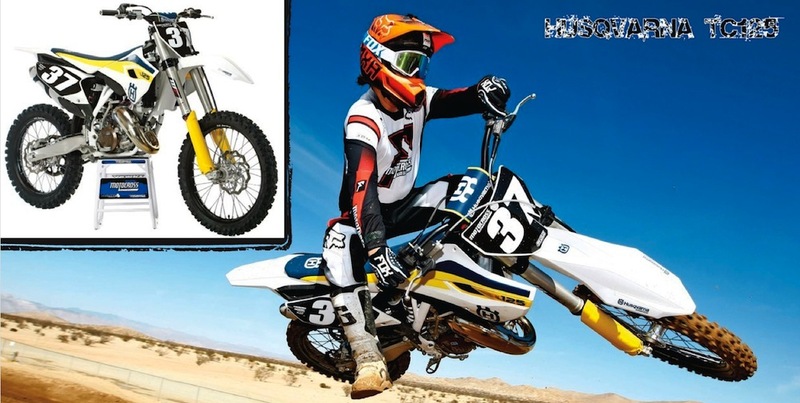 Money talks, and by 2007 the vast majority of motocross bike purchases were four-strokes. Booming popularity of the new technology caused rapid growth and expansion (leading Honda to produce a 150cc four-stroke and KTM to eventually unveil a 350cc four-stroke). As a result, four-stroke sales dwarfed two-stroke inventory movement. The buying public shattered the two-stroke market, because consumers spoke with their wallets. (3) Manufacturers. In 2006, the “Big Five” manufacturers collectively offered 21 different models. For 2009, however, there were only 14 new models, as Kawasaki, Honda and Suzuki dropped their two-stroke lines. If it weren’t for Yamaha, KTM, Husqvarna and a handful of boutique brands like TM and Gas Gas, buying a new two-stroke wouldn’t be possible. MXA tests bikes that people buy—and that means four-strokes. But, the MXA wrecking crew has never given up on the two-stroke. We have always seen the benefits of keeping the two-stroke flame alive. Two-strokes are easy to maintain, relatively inexpensive and fun to ride. In short, two-strokes appeal to a broad audience looking to plant roots in a sport that isn’t cheap. The MXA wrecking crew rounded up the three bikes and tested them on a variety of tracks and with a wide range of skill levels to determine which bike is best in the class. You will discover that our choice might not be best suited to you, which is why we focused on individual categories that illustrate certain performance objectives—updates, powerband, suspension, handling, brakes and clutch. WHICH BIKE HAS THE MOST UPDATES? (1) KTM 125SX. Of course there’s the new frame color and fork guards, but those updates are inconsequential compared to the WP 4CS forks, new shock linkage and ignition mapping. KTM continues to update its two-stroke brood rather than cruise by with an old design. We commend the Austrians for their reinvestment strategy. Word on the street is that KTM will unveil all-new two-strokes for the 2016 model year. (2) Husqvarna TC125. Coming with the same upgrades as the 2015 KTM 125SX, the Husqvarna TC125 does have several features that distinguish it from its orange brother. Aside from the flashy white plastics and seat cover, the TC125 has a polyamide plastic subframe and perhaps the world’s worst airbox design ever conceived. Still, on paper and in performance, the Husqvarna TC125 is a different beast from the KTM 125SX, even if they have identical engines, main frames and suspension. (3) Yamaha YZ125. Yamaha created buzz with the 2015 YZ125 by putting its emperor in new clothes, so to speak. While it’s true that Yamaha’s two-stroke tiddler received bigger footpegs, Dunlop MX52 tires, the latest-generation KYB Speed-Sensitive fork and a new airbox, most of the updates are solely cosmetic. That’s not necessarily a complaint, because the YZ125 needed a facelift. WHICH BIKE HAS THE FASTEST ENGINE? (1) KTM 125SX. If you’re looking for the fastest production 125cc two-stroke to ever touch tread to dirt, the KTM 125SX is the bike for you. The engine screams to the point of being scary fast for neophyte riders. Holding the throttle wide open rewards those who understand the power profile of the KTM 125SX. This is not a forgiving engine. If you can’t stay on the pipe, stay off the 125SX. (2) Husqvarna TC125. How is it possible that the TC125, which shares the same engine as the 125SX, is not on par with the KTM? Forgive us if you’ve heard this before, but the Husqvarna airbox/side-panel layout is atrocious. It must have been concocted by a committee rather than an engineer. Why? Airflow can barely get to the airbox because of a left-side panel that is more of a brick wall than a window screen. As a result, throttle response and midrange power are stymied. (3) Yamaha YZ125. Old faithful gives up power to the KTM and Husqvarna, particularly at high rpm. The YZ125 has a predominantly low-to-midrange powerband and cannot keep up with the Austrian bikes at full tilt; however, that doesn’t mean that the Yamaha engine is a dud. WHICH BIKE HAS THE BEST POWERBAND? (1) Yamaha YZ125. Impossible! Think again. Raw power is one thing, but being able to use the power at hand is quite another. 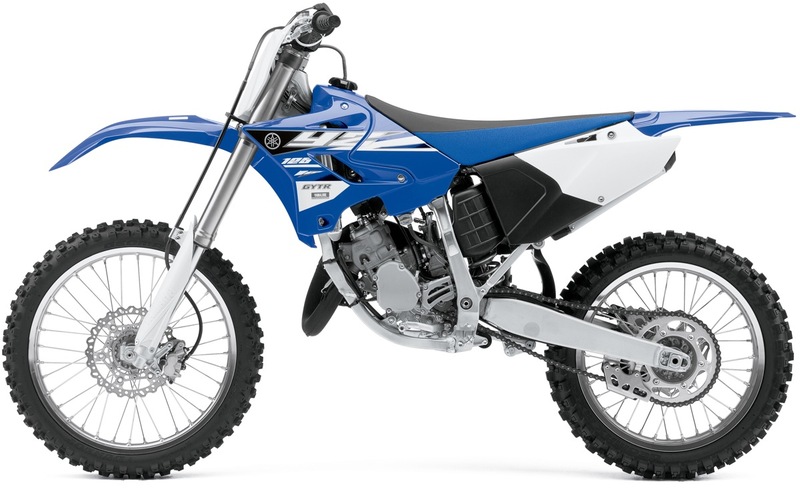 The YZ125 has a remarkably easy-to-ride powerband that is well-liked by every MXA test rider. The close-ratio six-speed gearbox deserves some of the credit, because we were able to keep the engine humming with relative ease. Although the KTM and Husqvarna powerplants delivered more promise on high-speed tracks, the YZ125 was more usable everywhere else. (2) KTM 125SX. Just as the Yamaha YZ450F didn’t win the “2015 MXA 450 Four-Stroke Shootout” simply because it made the most horsepower, the KTM 125SX doesn’t have the best powerband despite its horsepower advantage. The KTM engine is finicky and hard to keep in the meat of the powerband. Finding success with the 125SX requires a busy clutch hand and never letting off the throttle. Failing to do so will cause the engine to bog. (3) Husqvarna TC125. The TC125 mirrors the KTM 125SX at top speed, but it suffers in the midrange thanks to the clogged airbox. Some testers actually preferred the tamped power spread of the Husky over the KTM, but most riders liked the explosiveness of the 125SX. Having said that, the TC125 finished last in this category because it only shines in one area—top-end power. WHICH BIKE HAS THE BEST SUSPENSION? (1) Yamaha YZ125. There is no contest. 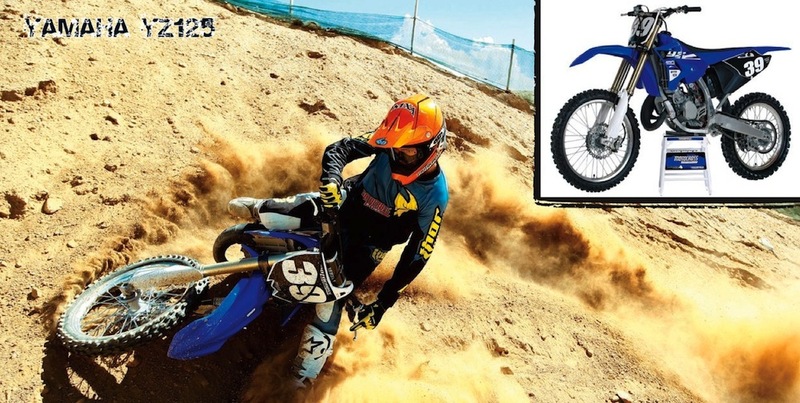 The Yamaha YZ125, with its Kayaba Speed Sensitive Suspension (SSS), is the best in the business. What amazes the MXA wrecking crew is that a wide range of riders—from svelte 140-pound Beginners to 180-pound heavyweight Experts—loved the suspension. The forks are plush beyond belief with a progressive and consistent ramping-up effect. Bottoming resistance is amazing. Simply put, the YZ125 suspension is magical. (2) KTM 125SX. KTM upgraded its U.S.-spec motocross bikes with WP’s all-new 4CS (Four Chamber System) fork. Although we’ve covered the intricacies of the 4CS several times, here’s a brief description: the left fork leg contains the compression damping, while the right leg controls the rebound damping. There are four separate chambers that contain different parts. Chamber 1: main spring and air chamber. Chamber 2: cartridge and sealed chamber full of oil. Chamber 3: housed inside Chamber 2, it is where damping is created. Chamber 4: extension reservoir chamber. What does this all equate to? The KTM 125SX has better forks than the previous WP closed-cartridge design, but it doesn’t hold a candle to the YZ125’s Kayaba SSS units. (2) Husqvarna TC125. The TC125 and KTM 125SX share the exact same suspension specs—valving, spring rates and oil height. Hence, the Husky suffers from the same harshness as the KTM forks. The spring rates are accurate for most riders, but the valving is stiff for slower or lighter riders. Test riders were particularly impressed by the shock, which could handle a heavy load without bottoming. WHICH BIKE HANDLES THE BEST? (1) Yamaha YZ125. Suspension and handling go hand in hand, and the YZ125 is tops in the class in both categories. The Kayaba SSS suspension helps the aluminum chassis settle into corners while also maintaining stability at speed. Confronted with tight ruts and whooped-out downhills, there’s no 125 two-stroke we would rather rely on than the YZ125. It doesn’t do anything strange. (2) Husqvarna TC125. The decent suspension, muted powerband and forgiving plastic subframe give the TC125 merit in the handling department. In stock trim, however, the Husqvarna did suffer from a slight front-end push, which was alleviated by adjusting the fork-leg height. (3) KTM 125SX. A front-end push was evident, especially in tight corners, but overall we were satisfied with the 125SX’s handling characteristics. The WP suspension doesn’t pair up well with the chromoly steel chassis (the blame should be placed mostly on the forks). The catch-22 of the KTM 125SX is that the engine thrives on high-speed tracks, but the chassis suffers in those situations. WHICH BIKE HAS THE BEST BRAKES & CLUTCH? (1) KTM 125SX. KTM has built a reputation for having the best brakes and clutch in the business. There’s no comparison among the Japanese brands, who still swear by cable-actuated clutches and modest front-brake setups. Although a superior front brake isn’t a slam dunk on a lightweight 125cc two-stroke, it still shines in comparison to the YZ125 brake. (1) Husqvarna TC125. Husky inherited the same Brembo front brake and hydraulic clutch off the KTM 125SX. Test riders didn’t notice a difference in performance between the two bikes. The self-adjusting clutch was fade-free, while the front brake offered great modulation with incredible stopping power. (3) Yamaha YZ125. To effectively ride a 125 two-stroke requires judicious use of the clutch. And while the YZ125 clutch pack can handle abuse, it’s not on the same level as a hydraulic clutch. We still recall the YZ125 clutch as being one of the better designs back when Honda, Kawasaki and Suzuki were still in the two-stroke game. As for the front brake, it offers nominal power and decent feel. Given our druthers, we would invest in an oversized rotor. WHICH BIKE WON THE 2015 MXA 125CC TWO-STROKE SHOOTOUT? (2) KTM 125SX. KTM is solving the riddles that have plagued its two-stroke lineup in past years, though there are still several glaring bugaboos that need to be addressed. The engine is too focused on top-end power, and the suspension lacks forgiveness. These are areas of utmost importance for a displacement predicated on riders making the transition from the minicycle ranks. Having said that, KTM will likely unveil all-new two-strokes for 2016. Is KTM dominance forthcoming? We can’t wait to find out. (3) Husqvarna TC125. The TC125 didn’t finish in last place so much as it finished a very close third in a field of excellent two-strokes. In some ways, the Husqvarna was better than the KTM, but neither Austrian bike could keep the Yamaha YZ125 in sight (except at 10,000 rpm). The Husqvarna TC125 has a few shortcomings that need to be addressed (the suspension, the worst seat cover known to man, and a flawed airbox design) before it can be considered in the same realm as the YZ125.